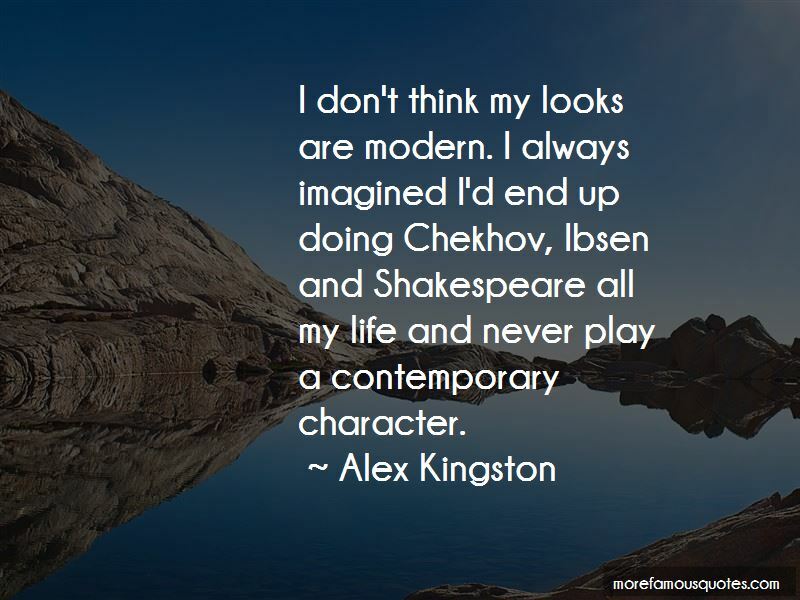 Enjoy the top 16 famous quotes, sayings and quotations by Alex Kingston. I love playing strong feisty women, I really do, but if you were to ask my husband he'd probably say that I'm very insecure. And actually incredibly malleable, which isn't necessarily a good thing. Children's programming in America, I think it's pretty shoddy in terms of lack of diversity. It's pretty much cartoons and Disney sort of shows. I don't find any of that stimulating for children. I think a lot of actors need validation. If you see truly amazing actors perform, they expose themselves to such an incredible degree. You can really see their pain. I think people think celebrities get babies really easily, like Angelina Jolie, but they don't hear about the ones who aren't successful because we don't like talking about it, it's too painful. Want to see more pictures of Alex Kingston quotes? 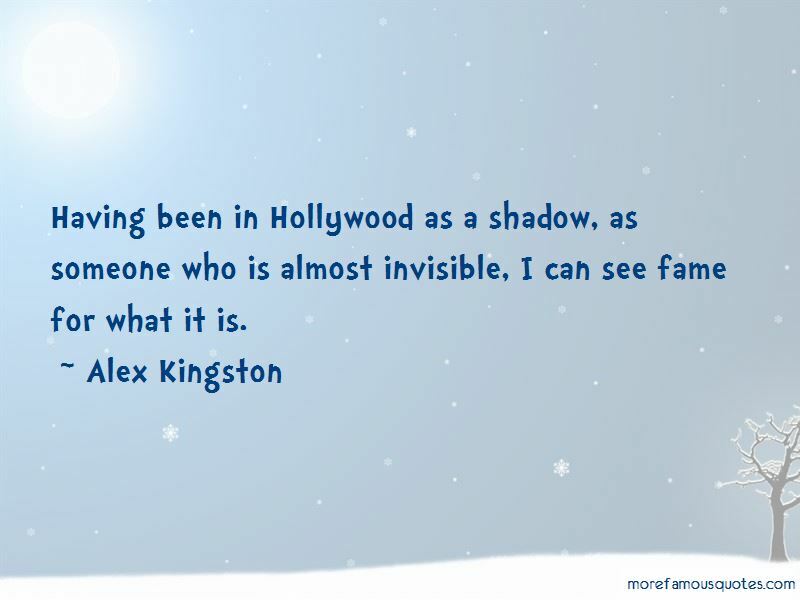 Click on image of Alex Kingston quotes to view full size.